I know you need another deadline like a gnome hurtling at your head, but have you seen this? Reimagined children's book covers. Too cool! Hahaha! That is just too good. 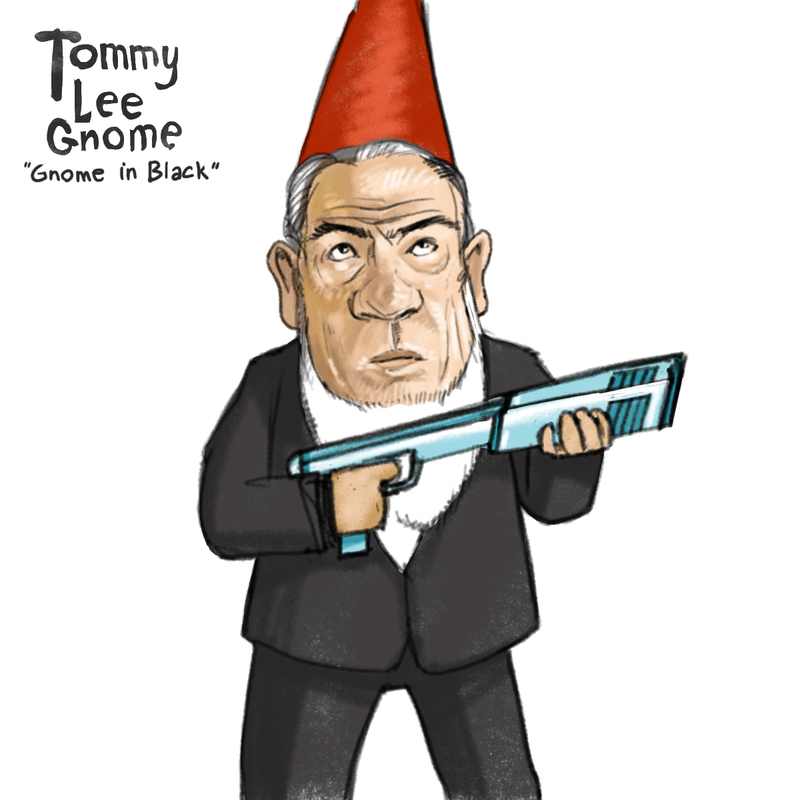 I would love to see Cormac McCarthy's face when someone tells him they want to do a gnome movie version of his book. Would Elton John do the music for another (and much cooler) gnome movie? Would it go to Broadway? Would they do "The Road" next. Post apocalyptic gnomes. Now that is truly terrifying. Thanks everyone. This may be the first time I've ever drawn a celebrity. That is one avenue of commercial illustration I've never gone down. It was fun, though. I'll have to try again! Cool link, Mighty Guin--that Harry Potter cover is spectacular!